Diverseathon is a week-long readalong taking place from January 22nd to January 29th, and it’s organised by Christina Marie, Joce of SquibblesReads, Monica of She Might Be Monica, and Whitney of WhittyNovels. There are no real rules, the stated goal is to read more diverse books but that’s left fairly open to interpretation. I’m choosing to read Own Voices books, ie. 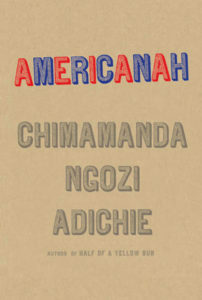 books about people with marginalised identities that were written by people who share those marginalised identities. I believe that second part is crucial because in addition to being severely under-represented in books, marginalised identities are severely under-represented in the publishing industry and book-reviewing community. As an ally with many factors of privilege, I want to support and signal boost the voices of marginalised people telling their own stories. And now onto the books! This is the group read that participants are encouraged to pick up, which is how I first heard about it. 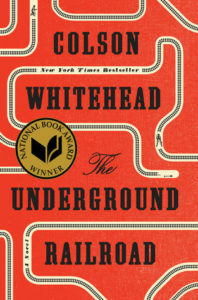 I originally assumed it would be a non-fiction work about the Underground Railroad, and I was alreay pretty excited about that concept, but it turns out it’s a novel that features an actual clandestine railroad! I must confess, I do really like stories set on trains or that have trains in them. I got the audiobook of this one, it seemed only fitting that I should listen to it on my commute, since that is made of trains. 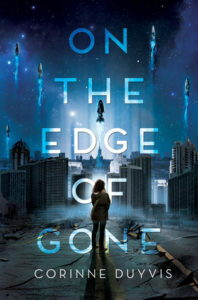 The premise of an Earth that knows it is about to be devastated by an asteroid and the subsequent conflict about who and what to save and prioritise isn’t new in SFF; there’s a long tradition of using robots, aliens and artificial intelligences as metaphors to discuss those themes, it’s great to see works that explore those same ideas through actual marginalised people interacting with a science-fictional world. 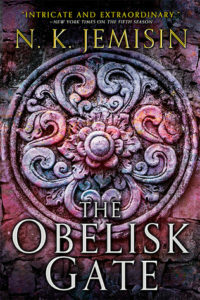 This novel came out in 2016 and it’s one of a giant pile that I want to get read before the nomination period for this year’s Hugo awards closes. Danny Tozer has a problem: she just inherited the powers of the world’s greatest superhero. 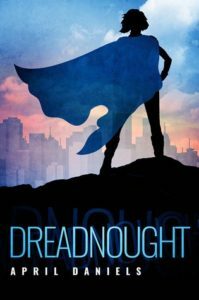 Until Dreadnought fell out of the sky and died right in front of her, she was trying to keep people from finding out she’s transgender. But then her second-hand superpowers transformed her body into what she’s always thought it should be. Now there’s no hiding that she’s a girl. It should be the happiest time of her life, but between her father’s dangerous obsession with curing her girlhood, her best friend suddenly acting like he’s entitled to date her, and the classmate who is secretly a masked vigilante, Danny’s first weeks living in a body that fits her are more difficult and complicated than she could have imagined. I’ve just received an ARC of this upcoming YA novel via NetGalley and I couldn’t be more excited that it came in time for me to read it for Diverseathon! 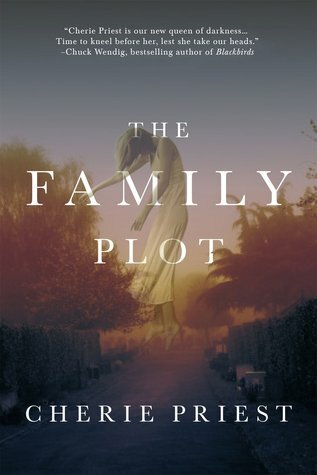 The premise of this novel is just fascinating, with a conflict that seems immediately real and poignant for all that entirely foreign to me, as cisgender woman. What a perfect illustration of why we need not only diverse books, but specifically diverse books written by marginalised people about their first-hand, lived experiences. 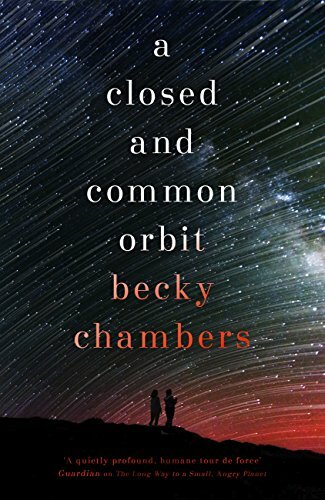 I’m not sure I’ll have time to get to this novella during the readathon, but I still wanted to include it, as it was published in 2016 and is therefore eligible for Hugo award nomination. 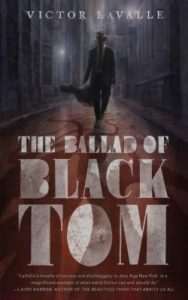 I’ve not read anything from this author before, but this novella is part of Tor.com Publishing’s widely acclaimed novella imprint, and by this point I trust the team of Tor.com to pick stupendous work. I’ll happily pick up anything they publish and give it a whirl these days. A new era begins for the Black Panther! 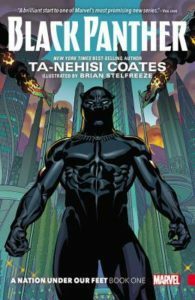 MacArthur Genius and National Book Award winner Ta-Nehisi Coates takes the helm, confronting T’Challa with a dramatic upheaval in Wakanda that will make leading the African nation tougher than ever before. I’ve never read any Black Panther comics but I definitely enjoyed T’Challa in The Avengers: Civil War (it was NOT a Cap movie, fight me), so I’d like to check this one out. Most of it should be on Marvel Unlimited by now, so it should be easy to get a hold of, and it also doesn’t hurt that I’ve heard nothing but praise for Ta-Nehisi Coates’ writing! This volume came out in 2016, so it is eligible for Hugo award nomination – another excellent reason to get to this one sooner rather than later. *The challenge actually started yesterday and I’m posting this TBR late because I am a muppet and misremembered the start date. I’m a week-starts-on-Monday kind of girl and things starting on Sunday confuse me. This week’s Top Ten Tuesday is All About Audio, a freebie on anything audio-related, so of course I wanted to talk about audiobooks! an Audible book haul of sorts! London,1967. Having struggled to find her place in the city since she arrived from Trinidad five years ago, Odelle Bastien now works as a typist under the tutelage of the glamorous & enigmatic Marjorie Quick. The plot thickens when a lost masterpiece with a secret history is delivered to the gallery. I enjoyed Burton’s debut The Miniaturist – particularly the detailed & immersive portrayal of historical Amsterdam – so I’m eager to see what she makes of 70s London & the Spanish Civil War. I’ve also heard really good things from a librarian friend of mine – always a good sign! To answer these questions, space agencies set up all manner of quizzical and startlingly bizarre space simulations. 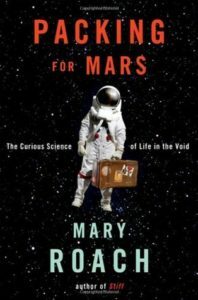 From the space shuttle training toilet to a crash test of NASA’s new space capsule, Roach takes us on a surreally entertaining trip into the science of life in space and space on Earth. A new Mary Roach book! About SCIENCE! And SPACE!! I’m so excited to read this after getting on the Mary Roach train with Stiff. Five hackers are detained by the U.S. government at a secret complex known as the Lodge. 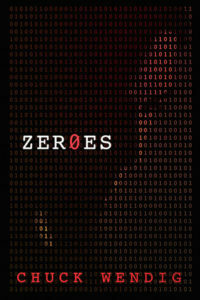 Forced to work as an elite cyber-espionage team in the service of Uncle Sam to avoid federal prison, these misfits dub themselves ‘the Zeroes’. Once the Zeroes begin to work, they uncover secrets that would make even the most dedicated conspiracy theorist’s head spin. And soon they’re not just trying to serve their time, they’re also trying to perform the ultimate hack: burrowing deep into the U.S. government from the inside, and hoping they’ll get out alive. Packed with electric wit and breakneck plot twists, Zer0es is an unforgettable thrill ride through the seedy underbelly of ‘progress’. I’ve not actually read anything by Chuck Wendig before & I’ve been meaning to remedy that – then I saw this in an Audible sale & I just had to pick it up. 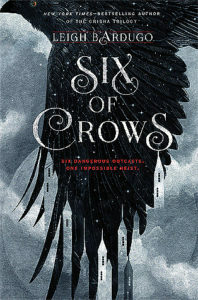 A convict with a thirst for revenge, a sharpshooter who can’t walk away from a wager, a runaway with a privileged past, a spy known as the Wraith, a Heartrender using her magic to survive the slums, a thief with a gift for unlikely escapes. Kaz’s crew are the only ones who might stand between the world and destruction – if they don’t kill each other first. Here’s another book I picked up in an Audible sale, and it’s 100% booktube’s fault. Kirit can’t wait to pass her wingtest, so she can start flying in service to her home tower, and exploring the skies beyond. 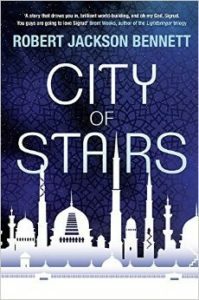 When Kirit inadvertently breaks Tower Law, the city’s secretive governing body, the Singers, demand that she become one of them instead. 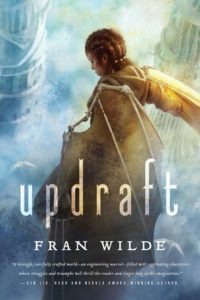 To try and save her family from greater censure, Kirit must give up her dreams to throw herself into the dangerous training at the Spire, the tallest, most forbidding tower, deep at the heart of the City. I originally got this because it was being nominated for so many SFF awards, but then Andrea Philips mentioned it has a bit of a Dragonriders of Pern vibe & I got very VERY EXCITED. It’s now moved to the top of my TBR list! As teenagers in a Lagos secondary school, Ifemelu & Obinze fall in love. Their Nigeria is under military dictatorship, and people are leaving the country if they can. Ifemelu departs for America to study. She suffers defeats and triumphs, finds and loses relationships and friendships, all the while feeling the weight of something she never thought of back home: race. Obinze had hoped to join her, but post-9/11 America will not let him in, and he plunges into a dangerous, undocumented life in London. I’ve had this in my Audible library for a little while & I was hoping to get to it during #Diverseathon, but it was a bit too long to cram into that week. Dun-Cadal has been drinking his life away for years. 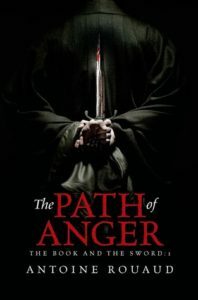 Betrayed by his friends – who turned their back on their ideals in favour of a new republic – and grief stricken at the loss of his apprentice, who saved his life on the battlefield and whom he trained as a knight in exchange, he’s done with politics, with adventure, and with people. I picked this up some time ago to read for my series on translated fiction, but after a couple of disappointing translated reads, I took a short break from that project which turned into a much longer break – woops. I do really want to get back to it soon. North and South depicts a young woman discovering herself in a nuanced portrayal of what divides people and what brings them together. 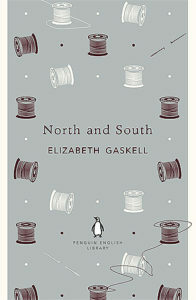 Elizabeth Gaskell’s compassionate, richly dramatic novel features one of the most original and fully-rounded female characters in Victorian fiction, Margaret Hale. 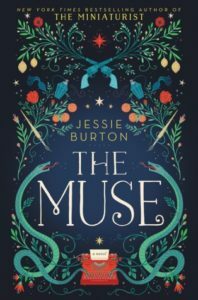 It shows how, forced to move from the country to an industrial town, she develops a passionate sense of social justice, and a turbulent relationship with mill-owner John Thornton. You can blame Richard Armitage’s face for this purchase, which may or may not have been made while I was swooning at his Mr Thornton watching the BBC mini-series. When I first heard about this classic romance set in Victoria Britain, with bonus industrial relations subplot & actual working class people, I couldn’t believe I’d gone so long without knowing about it! Now I’m just saving it for a dreary day when I’m in need of a pick-me-up. Years ago, the city of Bulikov wielded the powers of the Gods to conquer the world. But after its divine protectors were mysteriously killed, the city was conquered, its proud history erased & censored. Progress left Bulikov behind, just another colonial outpost of the world’s new geopolitical power. This was an impulse buy I got on sale around the time the book came out (if I recall corectly, it was after hearing a particularly good recommendation on Shipping & Handling). I think the sequel is already out too, so I can go straight onto book two if I enjoy it. In the distant past, Earth, the alien’s home planet, and the home planet of another alien species, all experienced the same five cataclysmic events at the same time (one example: the meteor that wiped out the dinosaurs). Both alien races believe this proves the existence of God: i.e., he’s obviously been playing with the evolution of life on each of these planets. I’m not gonna lie, this one just sounded hilarious! 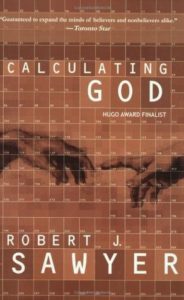 I’ve read & enjoyed Robert Sawyer before, and came across this one in a sale. The blurb made me laugh & somehow the book found its way into my library. This is why I’m not allowed to click on that gorgeous little ‘Get 3 extra credits’ button any more. Let me know in the comments what books you’ve acquired recently & if you’ve read anything from this list. If you do your own list, please link back to The Broke and the Bookish, who created and hosts Top Ten Tuesday.